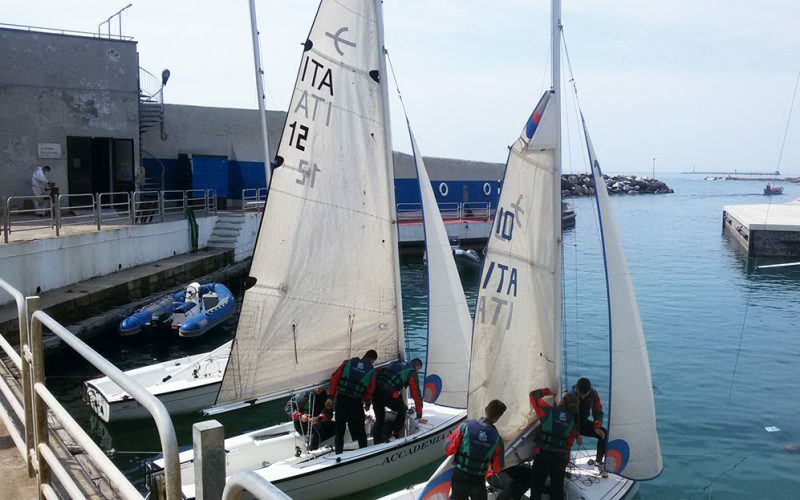 It is the oldest sailing club in Livorno, founded in 1881, the same year as the Naval Academy. The sailing sessions were created to teach the future officers of the military navy the elements of navigation. Sailing has always had a key role in the training of midshipmen. The sailing sessions have trained champions who have taken part in international and olympic regattas. Among these, Admiral Straulino, gold medal at the 1952 olympic games in Helsinki and Commander Faggioni, the first among the italians in the crossing “ostar” in 1972. The sailing class “Riccardo Gorla” is dedicated to the lieutenant gone missing at sea in 1968 from the ship “Orsa minore” during a regatta. The sailing sessions not only train the midshipmen of the Naval Academy, but also hold “summer sailing courses” under the aegis of the primiership. The courses last 10 days and are held for the students of secondary schools who have been promoted with full marks. Requirements, age and application forms are published yearly with a specific notification. The courses are free of charge.